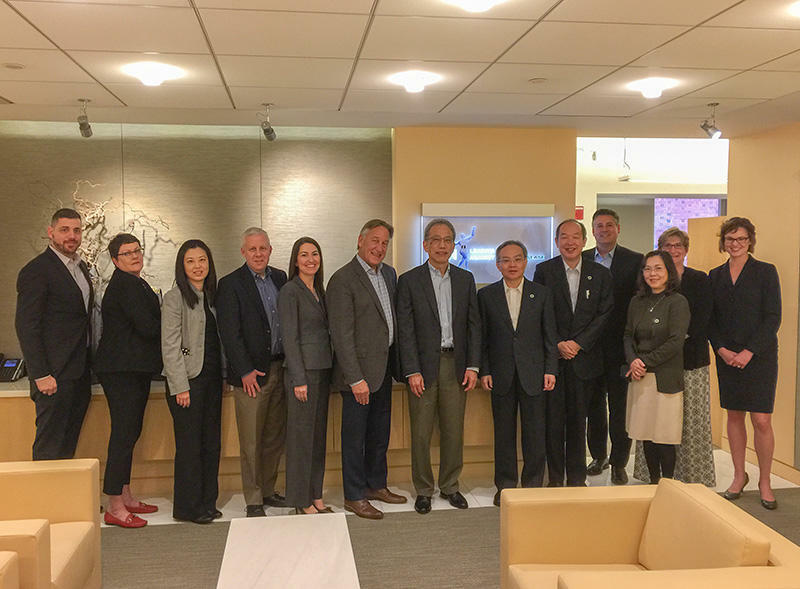 Prof. Naoki Kashihara, president of the JSN, visited ASN Headquarters in Washington DC with Prof. Masaomi Nangaku, vice president of JSN, and Prof. Reiko Inagi, secretary of international committee of JSN, on November 5, 2018. They shared some perceptions with Prof. Mark Okusa, president of ASN, Prof. Mark Rosenberg, president elect of ASN, and Tod Ibrahim, secretary general of ASN. Finally, we have gathered the concept and direction as an academic society of ASN, and agreed to develop the further collaboration of JSN / ASN in the future. Copyright© Japanese Society of Nephrology All Rights Reserved.